Join us as we seek to love our community! 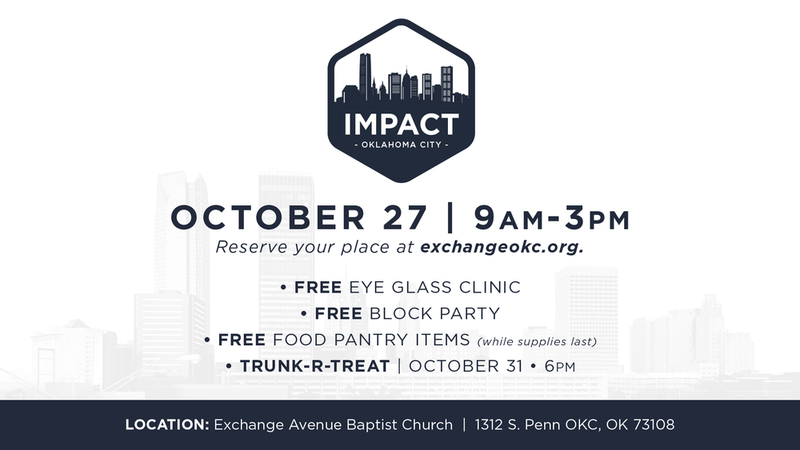 Join us October 27th from 9:00am - 3:00pm at Exchange Avenue Baptist Church for Impact OKC. Through this event we seek to give back to our community as a church. Items are free while supplies last! You can register for this event by clicking the button below and filling out the form below!